As a bonus to the Spooky Empire family, doors will open earlier on Friday, October 27 at 12 p.m. to begin the weekend-long festivities. Richard Dreyfuss is most recognized for his lead role in the classic Jaws, Close Encounters of the Third Kind, Stand By Me, American Graffiti, W Stakeout, Down & Out In Beverly Hills, Mr. Hollands Opus, Piranha 3D and The Crew. Shannon Elizabeth has starred in Scary Movie, Thir13en Ghosts, Cursed, Night of the Demons, The Twilight Zone, Tomcats, Jay & Silent Bob Strike Back and as Nadia in American Pie and American Reunion. Fairuza Balk most recognized role was Nancy in The Craft. She has also appeared in American History X, Waterboy, Return to Oz, Almost Famous, The Worst Witch, Things To Do in Denver When You’re Dead, The Island of Dr. Moreau, and Ray Donovan. Daphne Zuniga stared as Princess Vespa in Mel Brooke’sSpaceballs and is recognized for her role in Melrose Place, The Sure Thing, The Fly 2, Vision Quest, Last Rites, Gross Anatomy, and One Tree Hill. Loni Anderson is best known for her role as the receptionist on TV showWKRP In Cincinnati as well as Stroker Ace, Munchie, Easy Street, VIP, The Love Boat, A Night At The Roxbury, and 3 Ninjas: High Noon. John Kassir portfolio of work includes Tales of the Crypt, Animaniacs, Star Trek: Voyager, Pete’s Dragon, and Rick & Morty. C.J. Graham played Jason Voorhees in the sixth film of the Friday the 13th series Jason Lives. He will be in full costume for photo ops. Ken Foree stars in Dawn of the Dead and has had roles in The Devil’s Rejects and Halloween. He also plays roger Rockmore on the Nickelodeon show Kenan & Kel. Derek Mears starred in Predator, Friday the 13th (’09), The Hills Have Eyes 2, Hatchet 3, True Blood, Grimm, Sleepy Hollow, Cursed and Holliston. 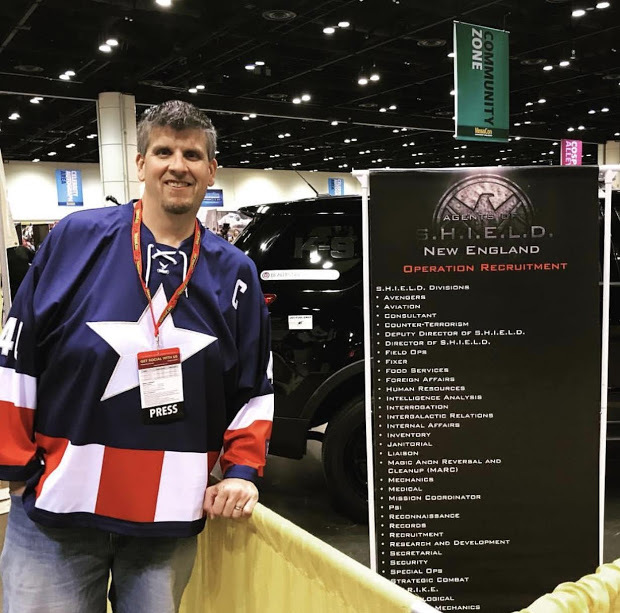 The annual weekend will feature an array of activities including a tattoo festival, film festival, celebrity autographs, Kid’s Zone, costume and cosplay contest, huge exhibitor room, live music, performances, Q & A’s with artists, authors and filmmakers, a game room, seminars, creepy cars, among many other activities. All advance tickets, now on sale, are discounted. Prices increase after October 8th and at the door. In advance, three-day passes are $60, one day passes on Friday and Sunday are $30, and one day passes on Saturday $35. Limited VIP Packages are available for $225 and include early entry to all three days, raffles, T-shirts, autograph line fast-pass, exclusive VIP party access on Saturday night with guest celebrities in attendance. Tickets for children under ten years old are free. Rooms are available at The Hyatt Regency Orlando for a discounted price of $119 per night. Rooms can be reserved online or by calling 1-407-284-1234. Mention ‘Spooky Empire’ for special rate. 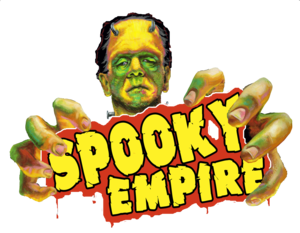 For more information about Spooky Empire, visit spookyempire.com.Follow them on Facebook, Twitter and Instagram (@SpookyEmpire).